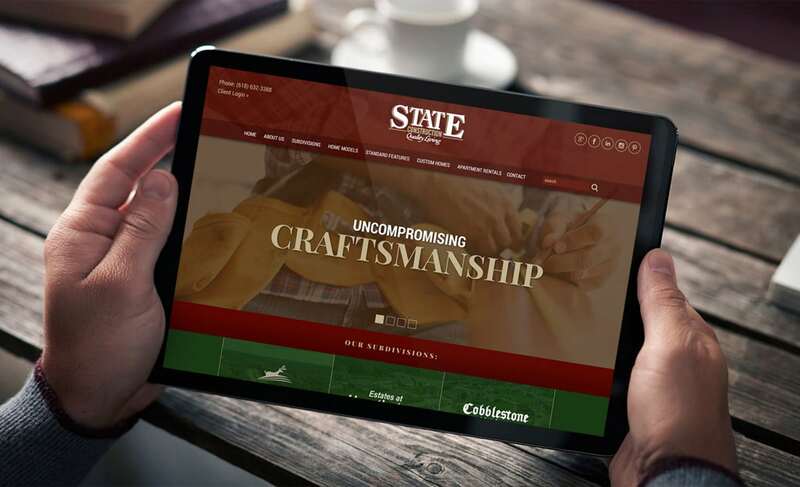 Visual Lure recently completed a new website for State Construction, a premier residential home builder based in O’Fallon, Illinois. The company was started in 1967 with the goal of building quality luxury homes at affordable and competitive prices. They have a great local reputation for building superior-quality homes, and for having a completely transparent construction process that eliminates all pricing surprises. The old website was extremely dated. It was not mobile friendly, or responsive, therefor delivering a bad user experience on tablets and particularly on smart phones. In additional to this, the design was distracting with no real focal points, two random tiers of navigation, the color palette was unsophisticated making the site feel cheap, and an extra logo and random content seem to be used to simply fill up space. 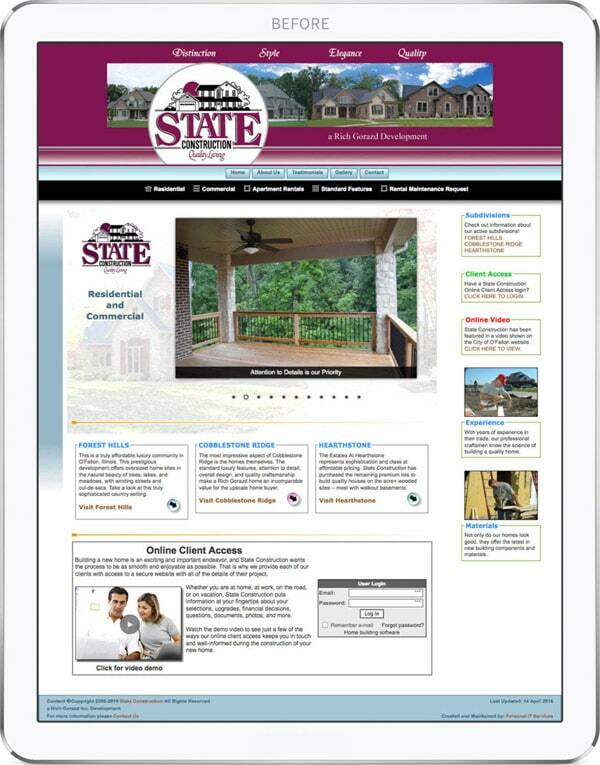 The new home page design features their phone number and client login access right in the header for convenience. The two tiers of navigation have been consolidated into one bar, and now houses a search field. The new slideshow replaces random house photos with the three main strengths of their brand: Uncompromising Craftsmanship, Superior Quality and an Impeccable Reputation. Next it features the company’s current three subdivisions and their five main home models, which after some basic research, proved to be what potential customers were looking for. Below that is a video and description of their transparent construction process. The homepage is completed with a custom testimonials widget and a footer with important contact information.